DELAD (which means SHARED in Swedish) is an initiative to establish a digital archive of disordered speech and share this with interested researchers. 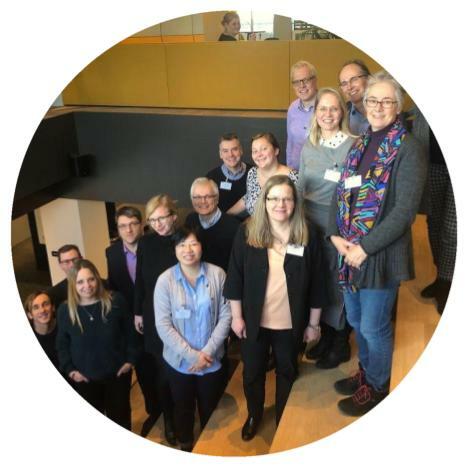 Ball & Müller organised two workshops in Linköping, Sweden, in 2015 and 2016, in which available resources and issues related to accessibility were inventorised. These workshops resulted in the DELAD initiative. From these workshops it was concluded that (1) only a minority of existing Corpora of Disordered Speech (CDS) can be made accessible due to privacy constraints, (2) we now have the knowhow to collect new CDS that can be shared according to FAIR principles , and (3) the CLARIN infrastructure is indispensable for this purpose. In CLARIN context, a first workshop was organized in Cork, November 2017, to set-up a plan to collect existing and new CDS and to include these in the CLARIN infrastructure. The report and videos of this first workshop are available on the CLARIN website.